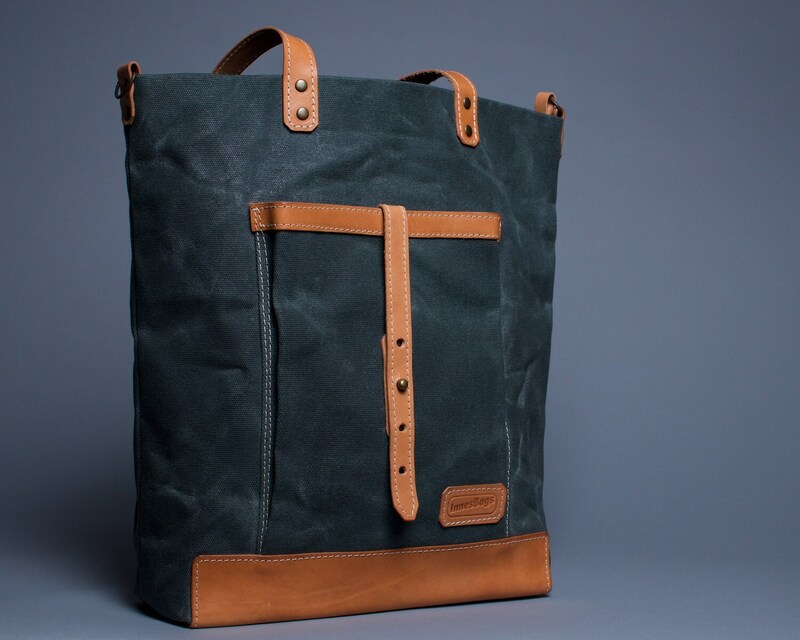 Waxed canvas tote. 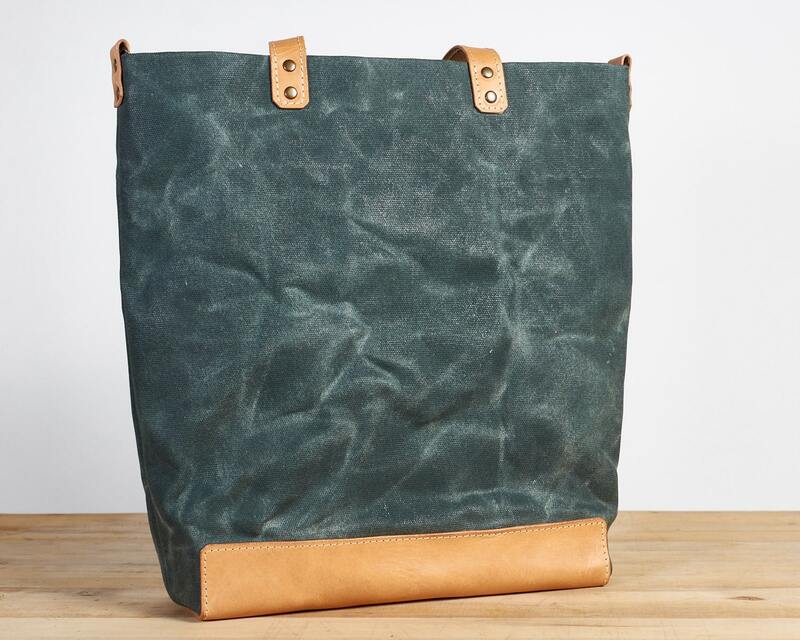 Green canvas leather tote bag. Green canvas bag. Womens / Mens canvas bag. 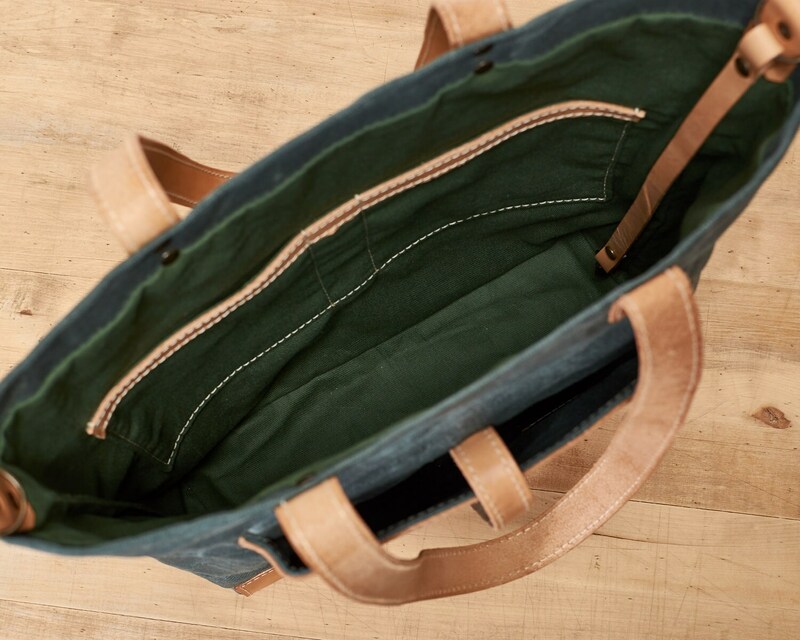 Comfortable big waxed canvas bag in green and honey brown colors for daily usage. 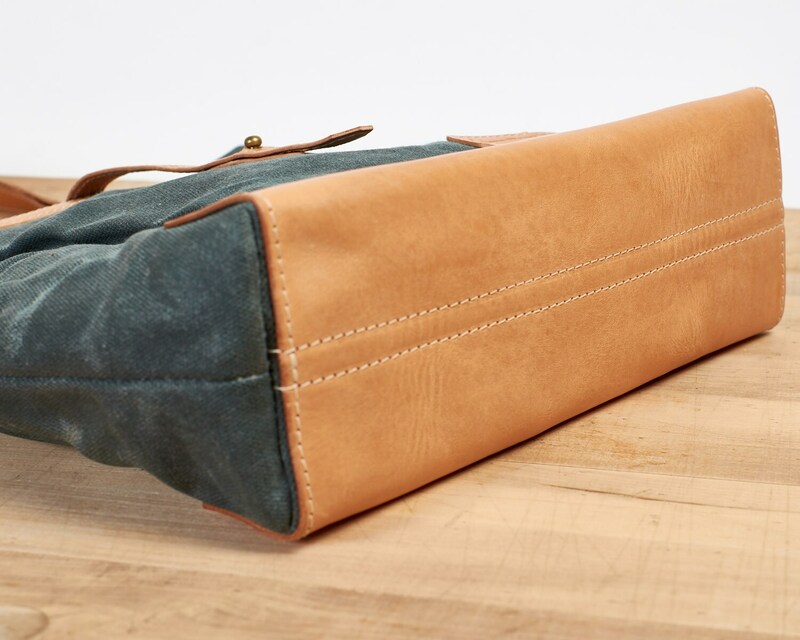 This handbag combines a simple clear design and functionality. It has a lot of space inside for a laptop, diaries, cosmetics and purses. 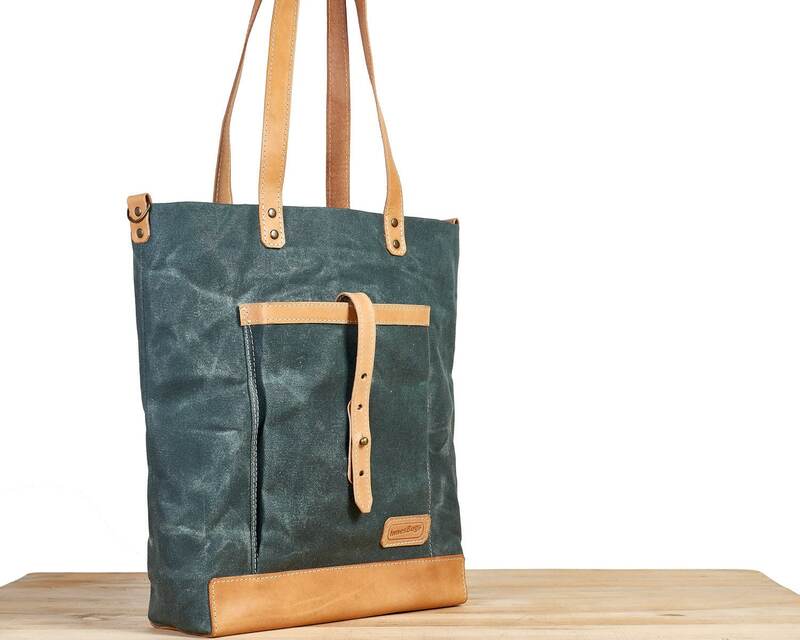 The bag made of dense, green canvas, waxed with natural carpathian beeswax. Water resistant and sturdy fabric that ages with a look similar to leather. A bag's base and straps - beautiful veg-tanned honey brown leather. Big pocket on the front side of the handbag is convenient for magazines, e-books and tablets (iPad Air for example). Pocket closes with leather strap and ball head button. We can offer you some different colors.